Instead of dozens passwords, remember just one! Sticky Password Premium 8.1.0 (Win&Mac) was available as a giveaway on June 4, 2018! In addition to Windows, Sticky Password is also available on Mac, Android and iOS with best-in-class sync options controlled by you. You decide how to synchronize your data across all your computers, smartphones and tablets. If you prefer not to sync via Sticky Password’s secure cloud-based servers, you can utilize local Wi-Fi sync, which syncs your data over your own network and never touches the cloud. Please note: the software provides a 1-Year 1 user license (can be activated until 10.6.2018). The program archive includes both Win and Mac versions! The user with the best improvement idea will be rewarded with Sticky Password lifetime license. Please use IdeaInformer Widget. How would you improve Sticky Password Premium 8.1.0 (Win&Mac)? text password transfer to software's database. 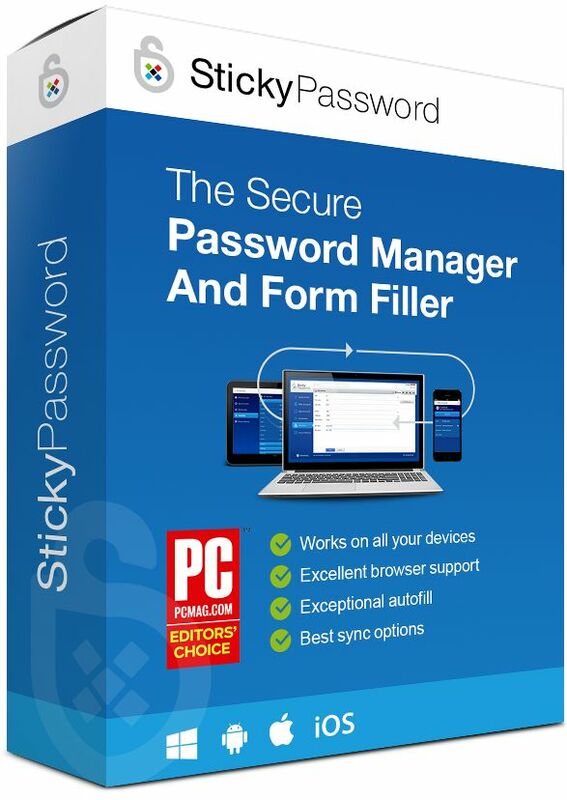 Get Sticky Password Premium (lifetime license) at 73% discount. GOTD users can get the program for $39.99, instead of $149.99. (1) As experts all agree, the most secure password is the one you can't remember. (2) Any password longer than 7 characters is very difficult to remember. (3) The longer the password, the more secure it is. Experts recommend 30 characters minimum. (4) Get in the habit of changing passwords twice a year. (5) Changing around only a couple characters, makes for a whole new password. (6) Storing passwords anyplace other than on your personal computer is dangerous, just ask Hotmail, NSA and other Government entities that have been hacked. A stick-em note in your wallet is more secure than any off-site location. (7) A misconception of password cracking is displayed in movies, where the hacker runs a portable program that cracks each character in sequence, from start to finish till the entire password is obtained. This is false. A password is either totally correct, or totally incorrect. (8) Use Entropy; or in other words, scramble characters to no set pattern or sequence. (9) There is no such thing as an Un-hackable password, there's only those that take longer, thereby making the hacker seek easier pickings. Why would a hacker spend 2 years trying to crack one password, when the average laptop with free software, can compromise 1000 eight character passwords [110 attempts per second] in less than 17 minutes. (10) Hackers depend on people's laziness for easy passwords. (11) Use a different password for each site. (12) Be VERY careful disclosing [any] private information to job employment sites. You have no control of that information once released. Most sites are unsecure and don't use safeguards. Password cracking - (1) As experts all agree, the most secure password is the one you can't remember. (2) Any password longer than 7 characters is very difficult to remember. (3) The longer the password, the more secure it is. Experts recommend 30 characters minimum. (4) Get in the habit of changing passwords twice a year. (5) Changing around only a couple characters, makes for a whole new password. (6) Storing passwords anyplace other than on your personal computer is dangerous, just ask Hotmail, NSA and other Government entities that have been hacked. A stick-em note in your wallet is more secure than any off-site location. (7) A misconception of password cracking is displayed in movies, where the hacker runs a portable program that cracks each character in sequence, from start to finish till the entire password is obtained. This is false. A password is either totally correct, or totally incorrect. (8) Use Entropy; or in other words, scramble characters to no set pattern or sequence. (9) There is no such thing as an Un-hackable password, there's only those that take longer, thereby making the hacker seek easier pickings. Why would a hacker spend 2 years trying to crack one password, when the average laptop with free software, can compromise 1000 eight character passwords [110 attempts per second] in less than 17 minutes. (10) Hackers depend on people's laziness for easy passwords. (11) Use a different password for each site. (12) Be VERY careful disclosing [any] private information to job employment sites. You have no control of that information once released. Most sites are unsecure and don't use safeguards. Tried to install it , on mac it required to launch a deamon (blockblock alerted me). Creating an acount would work - but they dont accept a valid email with + sign left of @.... this is part of an official RFC and used to filter spam. If they are real cool developpers, they would allow rfc complient email syntax. Tried to install it , on mac it required to launch a deamon (blockblock alerted me). Creating an acount would work - but they dont accept a valid email with + sign left of @.... this is part of an official RFC and used to filter spam. Perhaps the developpes read this comment... it is allowed to have an email like this: info+test@mydomain.xxxx If they are real cool developpers, they would allow rfc complient email syntax. I just use Blur Free version Remembers passwords and features free email masking as well for those sites that make you register but you Don't want to give your real email to. You can get Google or Last Pass to remember your passwords without them ever expiring. I would not trust using this software that has a time restriction on it. After the year is up, you have to fork over money to the company that developed this software in order to retrieve passwords after your year is up. Sorry, but this is one that I am not interest in. This is not true, the program will be reverted to its free version and you'll have got all your passwords. Hi Paul. :-) This is not true, the program will be reverted to its free version and you'll have got all your passwords. Today you can also get lifetime license to Sticky Password Premium with 73% discount at GOTD and you'll never have to renew again. Paul, After 1 year you can either prolong your Premium subscription or you'll be switched to Free version with full access to your passwords. Here you can find more about Free and Premium version: https://www.stickypassword.com/free-password-manager-vs-premium Today you can also get lifetime license to Sticky Password Premium with 73% discount at GOTD and you'll never have to renew again. John wrote: "I recently had a problem with the way Sticky was working with my browser, Opera 64-bit. I contacted customer support on this and within a day or two, they had a fix that addressed my problem"
How can there be a problem using your software on this browser ? The reason for a problem with Opera happened because of changes in Opera browser. Sticky Password extension had to be improved in order to work with Opera. This may happen as we don't have control of changes made in browsers but we're always ready to fix it asap. Tobiasson, The reason for a problem with Opera happened because of changes in Opera browser. Sticky Password extension had to be improved in order to work with Opera. This may happen as we don't have control of changes made in browsers but we're always ready to fix it asap. I'm missing the most important information for me: Can I employ my data from the software I used before? If so, which file extension of the data file is required to be recorded from Sticky Password? Another question: Why am I forced to create an account if I intend to use only local storage with Sticky Password? I'm missing the most important information for me: Can I employ my data from the software I used before? If so, which file extension of the data file is required to be recorded from Sticky Password? Another question: Why am I forced to create an account if I intend to use only local storage with Sticky Password? We need you to create StickyAccount to manage your Sticky Password license and settings. Kurt, You can, use .csv or .xml file. Here are mentioned supported programs from which you can create import: https://www.stickypassword.com/help/can-i-import-my-passwords-from-another-program-on-windows-8 We need you to create StickyAccount to manage your Sticky Password license and settings. Oops, my Norton Identity Safe is not listed. I refuse to enter all my data again. So sad! Marek - Sticky Password Team, Oops, my Norton Identity Safe is not listed. I refuse to enter all my data again. So sad! Please add secure sharing between accounts. This addition could get me to switch from LastPass. Thank you for mentioning secure sharing between accounts. We're working on it right now and we'll add sharing to Sticky Password soon. Woz, Thank you for mentioning secure sharing between accounts. We're working on it right now and we'll add sharing to Sticky Password soon. I installed Sticky Password but found that It is not yet compatible with Firefox and it's variations. Rick_S1, during the initial Setup for SP, there is a 'Browser Integration' option that includes whatever browser(s) you have installed on your computer. All you need to do is to select the browser(s) you want by making sure there's a tick mark in the box for Firefox. Hope this helps. BTW, I'm not sure that SP is compatible with FF's variations . . .
Suze and Marek - Sticky Password Team, Thank you for your comments. I did find the firefox extension on the website. It does not work with firefox variants. It didn't recognize waterfox as a variant of firefox, and when I tried to manually install it, it was only looking for firefox.exe. It would not accept any alternatives. It's probably a good product, but I'll pass for now. It will then install and works no problem. Vivaldi and Sticky Password... What I've done is that I installed it using one of browsers that I don't use (in my case chrome portable) and when it cannot find it I then directed it to vivaldi.exe It will then install and works no problem. Nice product from nice people but it sadly failed to work for me on my Android tablet when away from home. The SP autofill always worked from my desktop PC but problems occurred when I used SP on my travels. I would open SP, click on (for example) "Web Accounts" and then click to launch the required website with auto log-in of ID and password. But SP wouldn't do it. I thought it might be a Firefox browser problem so instead set my preferred choice to "Sticky Password Browser" and kept trying again. Even using that browser, nothing happened after launching. I finished up having to log in manually, a real pain when some passwords were long and complex. An uninstall and reinstall of SP and a full re-synching didn't cure matters. I use a different password manager now to synch to my tablet and autofill for websites and have no problems. It may be that my experience is a one-off but it was frustrating, having a password database synched to a device I away from home only to find that SP on that device wouldn't connect me to the websites or forums I needed to access. Nice product from nice people but it sadly failed to work for me on my Android tablet when away from home. The SP autofill always worked from my desktop PC but problems occurred when I used SP on my travels. I would open SP, click on (for example) "Web Accounts" and then click to launch the required website with auto log-in of ID and password. But SP wouldn't do it. I thought it might be a Firefox browser problem so instead set my preferred choice to "Sticky Password Browser" and kept trying again. Even using that browser, nothing happened after launching. I finished up having to log in manually, a real pain when some passwords were long and complex. An uninstall and reinstall of SP and a full re-synching didn't cure matters. I use a different password manager now to synch to my tablet and autofill for websites and have no problems. It may be that my experience is a one-off but it was frustrating, having a password database synched to a device I away from home only to find that SP on that device wouldn't connect me to the websites or forums I needed to access. So there is no Vivaldi and Linux support? Too bad. It looks promising. TopQuark, That's why I use Lastpass.. Been using it for a long time and I'm happy with it. 2) Click "+ Add to Chrome"
You can import your data from Keepass. Use .xml or .csv file for it. rick, You can import your data from Keepass. Use .xml or .csv file for it. Setup hung on browser integration password import Firefox AND Chrome on Win 7 desktop AND Win10 laptop. Could not terminate StickyPassword process. Had to power off/on desktop and laptop. Probably Sticky Password is good but I don´t like to store my personal data in any place outside of my premises. As a matter of fact, anytime I install a new program and a window pops up asking me to create an account I cancel the installation and delete it at once. Probably Sticky Password is good but I don´t like to store my personal data in any place outside of my premises. As a matter of fact, anytime I install a new program and a window pops up asking me to create an account I cancel the installation and delete it at once. Luis, You don't have to store your data in the cloud. You can just store it on your computer if you want. As noted in the description above, SP has the feature of syncing among your various devices only when connected to your local in-house wi-fi/LAN if you prefer, thus avoiding exposure over the Internet to any "cloud" storage. However, to see and read those "corrections" provided by users/commenters, you haved to repeatedly click on the "Load more comments" button at the bottom of the page. There may also be an "advantage" to NOT being the most popular password manager title: possibly being less of a target for hackers. To date there have been some acknowledged breaches for some of the other more popular titles. Also, one item I left out of my earlier post (under comment #2) that I wanted to emphasize was that Sticky Password's one-time "lifetime" license including updates is one of the few such still offered -- many if not most other titles are now annual/yearly-only subscription renewals, I believe -- and at today's special-offer price of $39.99 it saves very much money over the long run versus any brand of password manager's yearly subscription (which they also offer at $29.99/year, also less than many other titles). Again, choosing to use any good password manager is a major time and frustration reducer, and thus far I've been very happy having paid for a lifetime license for this one. Luis, As noted in the description above, SP has the feature of syncing among your various devices only when connected to your local in-house wi-fi/LAN if you prefer, thus avoiding exposure over the Internet to any "cloud" storage. By the way, there is some erroneous (or outdated) information presented in this article on the popular and generally-useful "recommendation" web site Wirecutter (formerly TheSweetHome), "The Best Password Managers": https://thewirecutter.com/reviews/best-password-managers/ However, to see and read those "corrections" provided by users/commenters, you haved to repeatedly click on the "Load more comments" button at the bottom of the page. There may also be an "advantage" to NOT being the most popular password manager title: possibly being less of a target for hackers. To date there have been some acknowledged breaches for some of the other more popular titles. Also, one item I left out of my earlier post (under comment #2) that I wanted to emphasize was that Sticky Password's one-time "lifetime" license including updates is one of the few such still offered -- many if not most other titles are now annual/yearly-only subscription renewals, I believe -- and at today's special-offer price of $39.99 it saves very much money over the long run versus any brand of password manager's yearly subscription (which they also offer at $29.99/year, also less than many other titles). Again, choosing to use any good password manager is a major time and frustration reducer, and thus far I've been very happy having paid for a lifetime license for this one. I have been using Sticky Password Premium for some years after purchasing a permanent license. I tried all the other password managers and each seemed to be missing something for me. Sticky Password just seemed like a very good fit for my needs. My favorite two things about the program are the way it synchs with all of my devices and its customer support. On the latter I recently had a problem with the way Sticky was working with my browser, Opera 64-bit. I contacted customer support on this and within a day or two, they had a fix that addressed my problem specifically. This is the kind of support you get from the developer. My only minor quibble, and it is out of their control, is that it doesn't work yet with MS Edge or Vivaldi - two browsers I use on a couple of my machines. 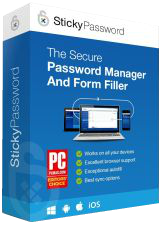 This is a great opportunity to give Sticky Password and try and compare it to your current password manager. I have been using Sticky Password Premium for some years after purchasing a permanent license. I tried all the other password managers and each seemed to be missing something for me. Sticky Password just seemed like a very good fit for my needs. My favorite two things about the program are the way it synchs with all of my devices and its customer support. On the latter I recently had a problem with the way Sticky was working with my browser, Opera 64-bit. I contacted customer support on this and within a day or two, they had a fix that addressed my problem specifically. This is the kind of support you get from the developer. My only minor quibble, and it is out of their control, is that it doesn't work yet with MS Edge or Vivaldi - two browsers I use on a couple of my machines. This is a great opportunity to give Sticky Password and try and compare it to your current password manager. John, also no longer works on Waterfox, although it used to. for many different websites. Will this software automatically add my current Roboform database? Since I have been using Roboform for many years, I have quite a few passwords for many different websites. Will this software automatically add my current Roboform database? I like Sticky Password since it can be portable on a flash drive, but I like Roboform since it autofills better. At least in my experience with both. Picked it up as GOTD earlier in the year. Liked it so I bought unlimited version at the discount they offered. What sold me was the local sync option among devices. I have been a victim of identity theft and credit card theft. I am done storing passwords and cc in the cloud. Only sticky PW for me. I will let Last Pass and Roboform, albeit good programs, expire once the year is up. ... and after on year, what happens? You stick with lost passwords? Or does 1-year licence means that you can upgrade free of charge for 1 year and then stay for life with the last version you were able to dwonload? ... and after on year, what happens? You stick with lost passwords? Or does 1-year licence means that you can upgrade free of charge for 1 year and then stay for life with the last version you were able to dwonload? As the free edition you can continue to update but you just cannot sync new passwords across devices you have to update the individual devices databases manually. PaulF, after the years license expires it reverts to the free edition and you lose all sync functionality and the ability to backup the database to the cloud. see the comparison matrix here: https://www.stickypassword.com/free-password-manager-vs-premium As the free edition you can continue to update but you just cannot sync new passwords across devices you have to update the individual devices databases manually. TK, Fortunately as you probably have noticed over the last few years Lamantine have generously offered sticky password as a GAOTD, meaning the years licence is extended for another year. I purchased the life time lisc years ago. Had to have support in earlier days and they fixed the code almost immediately. I use it at my office having to log in with many passwords, it auto fills saving me lots of time while dealing with customers. I change password at office it updates my phone and computer at home. Option to create passwords when creating a new login keeps me from using the same password over and over. There was a time when Last Pass was good competition to Sticky password but they are always upgrading. I know I sound like a parent bragging on their kid but this software has been THE most useful tool on my computer. I got this during the last giveaway offer and I love it. I have alittle trouble with it autologging into certain emails when I want to use a different one. I'm pretty sure there is a way to have it ask which one I want to use but , tbh, I have been to lazy to read the help, it's not that big of a problem! I highly recommend. I bought permanent license many years ago. It is the best of all. Don't worry about 1 year premium, it becomes free after a year and you don't loose any passwords since the main database is on your computer. No, not for me. Some unknown company. LastPass or/and KeePass2 for Win/Android is what I use. Yeah, passwords are in the cloud, but they are encrypted and I use 2FA and there is only one location in the world where I can log in to LastPass. Yes yes, some one can stole whole LastPass database but files *should* be encrypted. If not, then there might be some problems... Until then :). BTW. You should use 2FA or similar at any sites, if it is only possible. No, not for me. Some unknown company. LastPass or/and KeePass2 for Win/Android is what I use. Yeah, passwords are in the cloud, but they are encrypted and I use 2FA and there is only one location in the world where I can log in to LastPass. Yes yes, some one can stole whole LastPass database but files *should* be encrypted. If not, then there might be some problems... Until then :). BTW. You should use 2FA or similar at any sites, if it is only possible. ABMM, That is the whole issue, with Lastpass and others, that the software itself should encrypt the data it is sending to the cloud. They are your passwords and are a piece of privacy. And yet here we are in 2018 and they still do not it, so that is a reason I wont use Lastpass etc. BTW, Sticky Password has been around a while and has great reviews, so the company is not so unknown. ABMM, That is the whole issue, with Lastpass and others, that the software itself should encrypt the data it is sending to the cloud. They are your passwords and are a piece of privacy. And yet here we are in 2018 and they still do not it, so that is a reason I wont use Lastpass etc. BTW, Sticky Password has been around a while and has great reviews, so the company is not so unknown. DJ, you mean that LastPass is not encrypt database? Am using Keepass for many years. It is free of charge and portable. You can store Keepass database in Drop box or Google Drive and to have access to your accounts from where ever you are. Of course you can also keep it is your own personal Cloud. Or simply on 1 USB drive to bring along anywhere. Am using Keepass for many years. It is free of charge and portable. You can store Keepass database in Drop box or Google Drive and to have access to your accounts from where ever you are. Of course you can also keep it is your own personal Cloud. Or simply on 1 USB drive to bring along anywhere. I tried this method for a while, but felt like it kept me from having a secure password for access to my Google Drive. I had to remember the password for Google Drive access, and the password for KeePass. My brain just isn't good enough to remember two secure passwords. ricohflex, I tried this method for a while, but felt like it kept me from having a secure password for access to my Google Drive. I had to remember the password for Google Drive access, and the password for KeePass. My brain just isn't good enough to remember two secure passwords. Thanks for the GOTD but I'm always concerned about time limited offers for this type of software: what happens if one needs to reinstall, after the licence has expired, in order to gain access to the oh-so-important password database? Bigteapot, You can reinstall Sticky Password anytime. After 1 year you can either prolong your Premium subscription or you'll be switched to Free version which has less features. Here you can find more about Free and Premium version: https://www.stickypassword.com/free-password-manager-vs-premium Today you can also get lifetime license to Sticky Password Premium with 73% discount at GOTD and you'll never have to renew again. Thanks for clarifying the situation. Marek - Sticky Password Team, where is the 73% off lifetime licence offer? I'd prefer the lifetime but no updates license as a giveaway and the facility to use my own choice of cloud storage provider either a 3rd party services like onedrive, dropbox or googledrive or my own private cloud server from my own static IP server farm... rather than rent cloud storage from the software vendor. 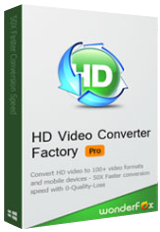 There are updates and support provided for 1 year even for today's giveaway license. Marek - Sticky Password Team, Thanks I can read regarding syncing over wifi.. I am not opposed to cloud sync of an AES-256 encrypted database I just require an independant user defined cloud provider either one of the big names that provide more than enough space for this for free or that I can host for myself and access over the internet and not be tied to the same LAN only or have to expose desktop machines on my LAN to the internet to sync with them from the internet which would be far from best practice assuming it could work. I'd rather take my chances with a lifetime license with no entitilement to free updates than an ensured 1 year only license that is promised to expire and disable ALL methods of syncronisation even over our own LANs wifi... which does not use any of your resources at all with all the updates allowed!. Marek - Sticky Password Team, Thanks I can read regarding syncing over wifi.. I am not opposed to cloud sync of an AES-256 encrypted database I just require an independant user defined cloud provider either one of the big names that provide more than enough space for this for free or that I can host for myself and access over the internet and not be tied to the same LAN only or have to expose desktop machines on my LAN to the internet to sync with them from the internet which would be far from best practice assuming it could work. I'd rather take my chances with a lifetime license with no entitilement to free updates than an ensured 1 year only license that is promised to expire and disable ALL methods of syncronisation even over our own LANs wifi... which does not use any of your resources at all with all the updates allowed!. Marek, is that true if going with GOTD's 73% discount on lifetime meaning no FREE updates on the stickypassword program ever? I have been able to download, install and keep SP updated and synced on my previous Windows XP desktop & 2 laptops, Windows 8 tablet, iOS iPad, Windows 10 laptop, Android tablet & smartphone -- and all through the various OS upgrades. Admittedly, there have been "rough patches" for users when, for example, Windows 10 was first introduced as an upgrade/update, and when the Firefox browser converted to the newer "quantum" version; but for the most part the SP developers appear to work hard at coming up with reliable/secure/quality fixes, and they respond/reply quickly to registered users either privately via e-mail or on the user forums. Bottom line: I've been a happy camper so far. With all the various user accounts on the web (social sites, bill-paying utilities, banking, shopping sites, hobby interest sites, etc.) having a reliable account/password manager utility like SP has saved me MUCH time and effort -- it has been well worth the lifetime license. Jerry, Speaking only from my own experience after initially trying out SP on my XP Home machine as introduced here on GOTD many years ago (and then buying a discounted-offer lifetime license shortly thereafter as they appear to be offering again today): I have been able to download, install and keep SP updated and synced on my previous Windows XP desktop & 2 laptops, Windows 8 tablet, iOS iPad, Windows 10 laptop, Android tablet & smartphone -- and all through the various OS upgrades. Admittedly, there have been "rough patches" for users when, for example, Windows 10 was first introduced as an upgrade/update, and when the Firefox browser converted to the newer "quantum" version; but for the most part the SP developers appear to work hard at coming up with reliable/secure/quality fixes, and they respond/reply quickly to registered users either privately via e-mail or on the user forums. Bottom line: I've been a happy camper so far. With all the various user accounts on the web (social sites, bill-paying utilities, banking, shopping sites, hobby interest sites, etc.) having a reliable account/password manager utility like SP has saved me MUCH time and effort -- it has been well worth the lifetime license. Lifetime license covers all future updates. Jerry, Lifetime license covers all future updates. Marek - Sticky Password Team, Thank you!! !